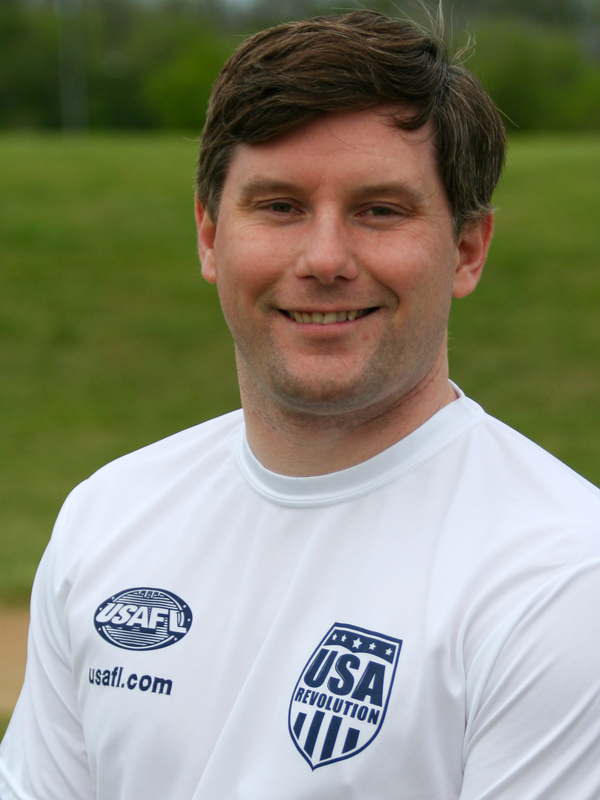 Matt has been involved in the USAFL since 2005, playing and coaching with the Baltimore Washington Eagles. Matt joined the Eagles in 2005 and was appointed head coach in 2006. During 2006, the Eagles won the Division 2 National Championship. In 2007 the Eagles continued their ascension to one of the elite teams in the country by going undefeated in and winning the Eastern Australian Football League ("EAFL"). At the end of 2007, the Eagles played in Division 1 at the USAFL National Championships and finished with a 2-1 record. In 2008 Matt took on an assistant coaching role with the Eagles. The Eagles continued their successful run by again going undefeated in and winning the EAFL title. During the 2008 USAFL National Championships, the Eagles again played in Division 1, making the final. Originally from Maryborough, Victoria, Matt has been involved with Australian Football for nearly 25 years. His playing career has included matches with clubs in country Queensland and New South Wales, as well as Brisbane and Sydney. While in Sydney, he discovered his desire to coach and in 2004 was appointed coach to the Manly-Warringah Wolves Reserve Grade team while continuing to play with the First Grade side. With Matt coach, the Reserves finished 4th in their competition and won their first finals game. 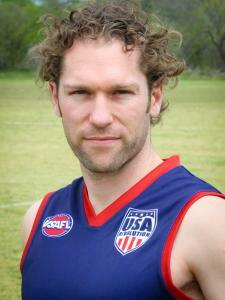 Denis offers a great deal of coaching and playing experience as well as a decade of experience in the USAFL. His most notable experience is his involvement with the Revolution team and International Football. Denis is continually looking for ways to introduce players of all ages, gender and ability to Australian Football in the U.S. and has a great understanding of the time and patience required to ensure players continue to play and develop. He has a tremendous understanding of backline play and particularly the determination required by backline players to overcome supposedly stronger forward lines. 2003-2010 Developed and implemented the USFootyKids program for introducing American students to Australian Football. 2007 Developed and implemented Ausball, a recreational co-ed version of the game. 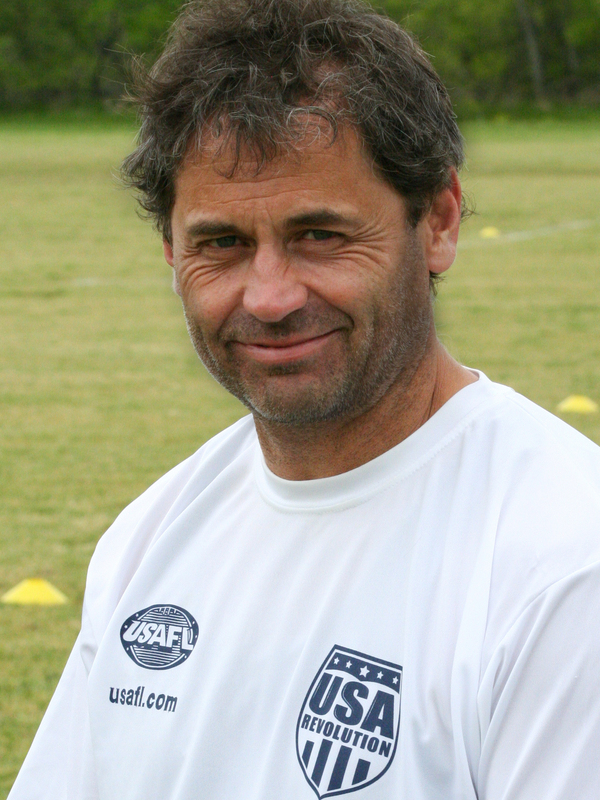 2001-02 Coached U.S. Revolution, finished 5th in 2002 IC. Jason began playing footy with the Milwaukee Bombers in 1999. In 2000, he became the Center Half Forward for the American Revolution, where he played for three years, representing the USA in 10 international matches. In Melbourne in 2002, Jason kicked the first ever goal in International Cup history. Jason was an Assistant Coach for the American Revolution in 2008. During his career with the Bombers, Jason's on and off field leadership helped the team grow. With the Bombers, he played in USAFL Grand Finals in Divisions III, II and I. Jason then coached the Minnesota Freeze, a team that won the USAFL Division III title in 2005 while playing in their first tournament as a full squad. Only a year later, the Freeze finished the season as Division II runners-up and a year after that took home the Division II flag. Scott is currently an Assistant Coach with the Orange County Bombers and is a Level 2 AFL Certified Coach. At the peak of his playing career Scott represented the North Adelaide Football Club, a part of the SANFL, in 73 senior and 26 reserve grade games from 1999-2003. His SANFL playing career began with Woodville-West Torrens Football Club, where he played 60 reserve grade games from 1994-1998. Scott’s coaching career started with the Freeling Football Club, in the Barossa Light & Gawler Football Association, where he also played, winning several association coaching awards from 2005-2008. Prior to moving to the U.S. in 2011 Scott was in a playing senior coach role at the Broadview Football Club (SAAFL), securing a Division 2 Premiership. Greg has been involved with footy since 2006 as a player and committee member for the Baltimore Washington Eagles Football Club. He became passionate about Australian football while studying abroad in Fremantle, Western Australia as an undergraduate and joined the Eagles upon moving to Washington, D.C. after graduation. During the last five years, he's served as secretary, vice president, and president of the club at various stages. As a committee member for the Eagles, Greg organized social events, assisted with the club website, administered a local co-ed Ausball league, and served as a metro league coach and captain. He played in the Eagles Division II championship team as well as their Division I runner-up squad. 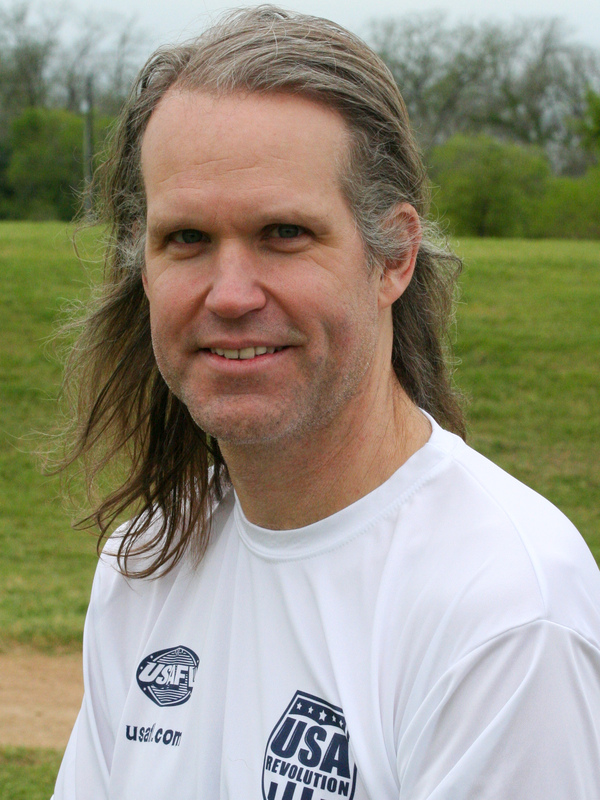 During the summer, Greg has participated in Saturday Morning Footy, a youth clinic and league in Arlington, Virginia as a mentor and umpire. Recently, he's been working on earning his Level one umpiring accreditation. An avid footy supporter, Greg barracks for the Fremantle Dockers with equal measures of passion and frustration. He's extremely excited to join Team Revolution. A two sport athlete in college (soccer, track & field), Sars discovered footy a year after graduation in the fall of 2002. He joined the Revolution in 2003 and has appeared over 30 times for the Revolution in exhibitions, internationals, and three International Cups. Captaining the squad in recent years, he led the national side’s climb back into prominence in the world footy scene at last fall’s International Cup, as the Revolution reached the semifinals, ultimately finishing 4th behind perennial powers Ireland, PNG, and New Zealand. Sars began coaching soccer in 2000 with Busch Soccer Club in St. Louis and carries a US Soccer National D Coaching License. He finished with Busch in 2007 sending a majority of his players to collegiate programs, including the Player of the Year as a freshman at Marquette. 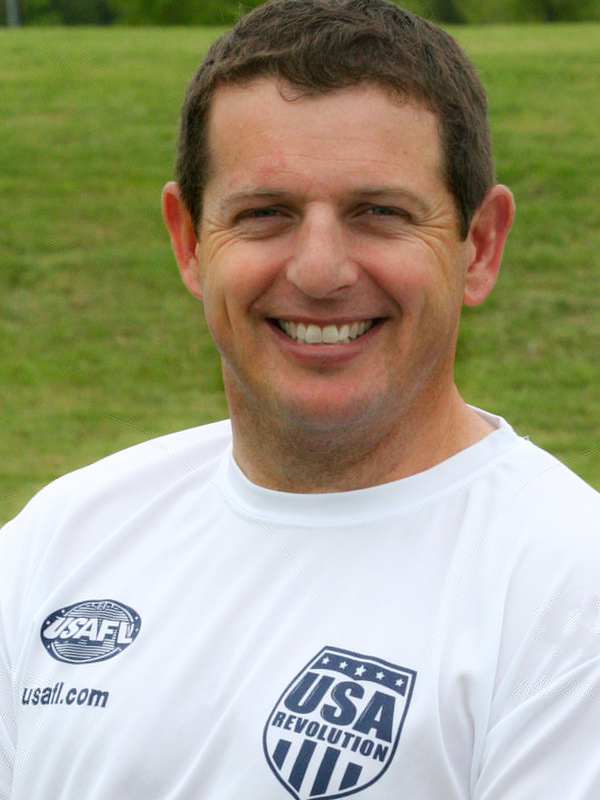 After some informal coaching stints around the USAFL, he took an official position with the US Freedom Women’s National Team on their 2009 Australian Tour. He was an assistant for the first ever women’s international team to tour Australia. 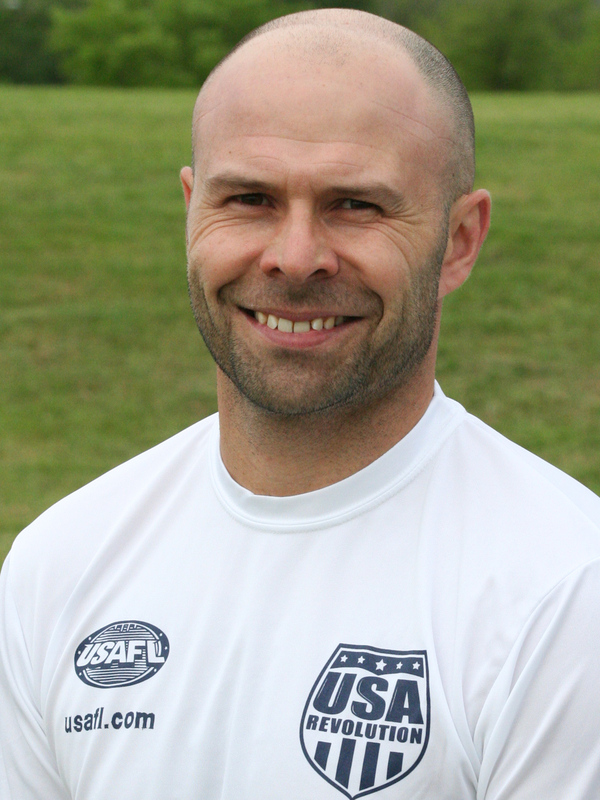 He looks forward to joining the Revolution staff as the Development Squad Head Coach supporting the National Team program as it grows and gathers momentum toward the 2014 International Cup.